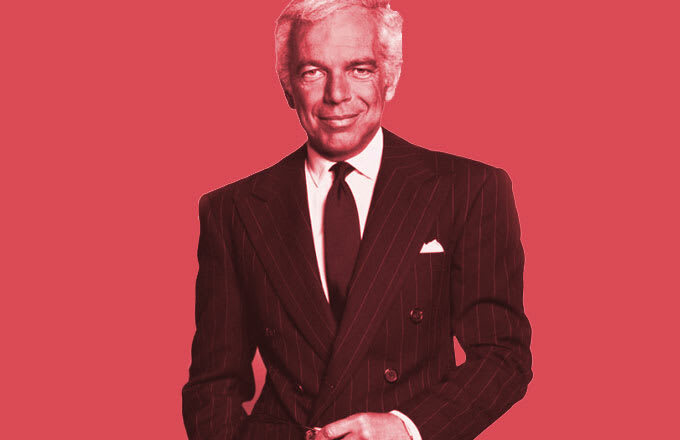 Ralph Lauren's name is synonymous with iconic menswear. From the polo shirt seen on everyone at some point in history to his reinterpretation of military garb, to the iconic '90s designs that made him a symbol of street aspiration. Recently, he announced he would be stepping down as CEO of his namesake company, installing Stefan Larsson as the new man-in-charge. The Internet was unsure of what to make of the corporate shift, but Larsson's pedigree is an impressive one, and under him the Ralph Lauren brand hopes to flourish. But as one of the most well-known denizens of fashion, there are just some things about Lauren that aren't all that well-known about Ralph Lauren the man—as well as the billion dollar company he built on a foundation of dreams. What's his birth name? Did he really make a $20k bag inspired by his wife? What was his early work? All these things and more are answered as we take a look at 50 Things You Didn't Know About Ralph Lauren.